Activists from around the world are gathered in Tunis for the World Social Forum. 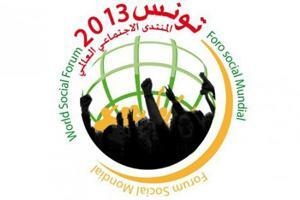 The WSF was launched in 2001 as a counter conference to the World Economic Forum in Davos. It offers an opportunity for NGOs, civil society and social movements to come together to exchange ideas and experiences and work together in solidarity for a more just world. This year’s motto is “dignity”. More than 3,000 workshops, demonstrations and concerts are scheduled to take place in Tunis during the week long activities.. Organisers expect up to 50,000 participants from around the world to discuss globalisation and labour issues and other matters concerning building a better future.